It is that time of year again! The sun is out and the summer activities are in full swing. While you and your family are out enjoying the summer fun, please remember your body needs lots and lots of water. 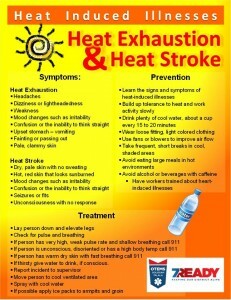 Watch out for the warning signs of heat illness and learn how to prevent them. 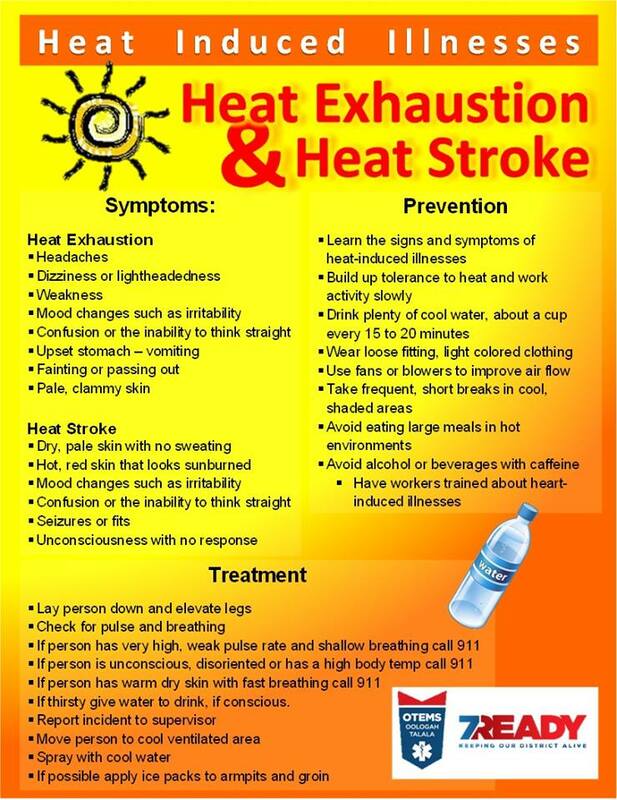 For more information on heat illnesses please click here to visit the CDC’s website.